This unique award is perfect for league/tournament events when you have a large quantity of them to hand out. The award features a basketball and goal backed by a gold flame. 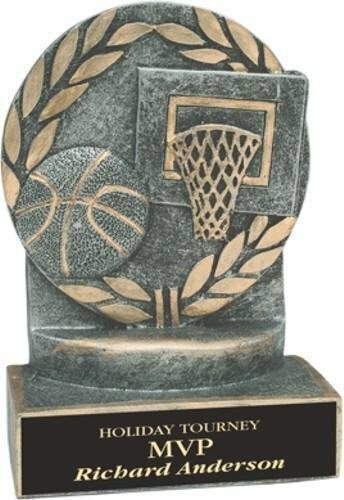 Add a plate to the base to personalize and you have a good looking, budget-friendly award to recognize prowess on the basketball court. The cobra represents power, speed, strength, and nobility, so what better way to recognize these qualities on the basketball court than with this unique gold award. Under the cobra "hood" is a star medallion draped basketball at the top of three rising stars. It sits on a base that can be personalized for your event and is available in four impressive sizes for your award needs.